Evidence from the 1958, 1970 and millennium cohort studies has been cited extensively by the Welsh Government in its first Early Years and Childcare Plan. Huw Lewis, Minister for Education and Skills, and Jeff Cuthbert, Minister for Communities and Tackling Poverty, launched the plan yesterday at a primary school near Cardiff. The 10-year plan outlines the actions the Welsh Government will take to improve children’s health and wellbeing, support parents, and ensure provision of high-quality early education and childcare. The plan highlights findings from the cohort studies that show factors such as mother’s health during pregnancy, child’s birthweight, parents’ education and employment, family’s housing and socio-economic circumstances can have a lasting effect on children’s cognitive, social and behavioural development. Children who experience poverty in their early years are most at risk. The Welsh Government plan cites research using the 1970 British Cohort Study that found that even at 22 months, there is a significant gap in the development of children from different socio-economic groups, which widens over time. Findings from the Millennium Cohort Study (MCS) show that by age five, children from more advantaged families were more than a year ahead in their vocabulary compared to those from disadvantaged backgrounds. 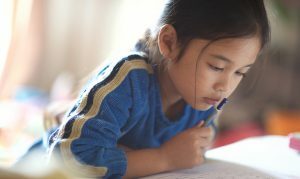 Poor cognitive ability as early as age three has been linked to an increased chance of unemployment, low qualifications and low income in adulthood. The 1958 Child Development Study has found that supporting children in their early years can have long-lasting benefits – adults in this cohort who attended pre-school were more likely to go on to gain qualifications and get jobs.